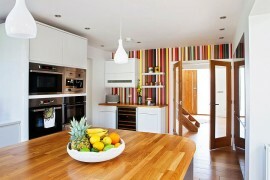 I am currently considering painting my dining room. 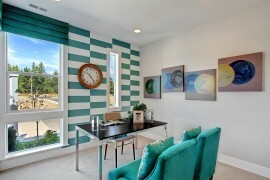 As a renter, wallpaper is not an option and I already have a lot of color in my furniture pieces. 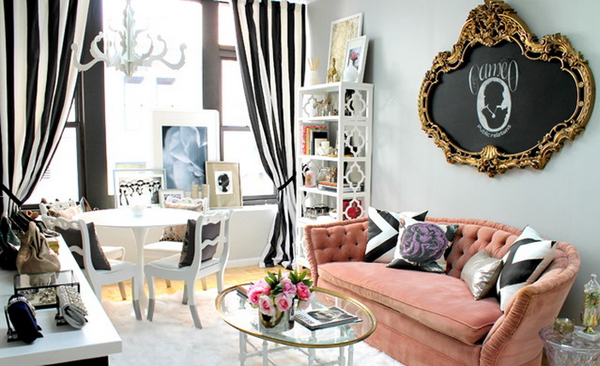 In addition, I want whatever I do to be a bold statement piece that will transform my whole space. 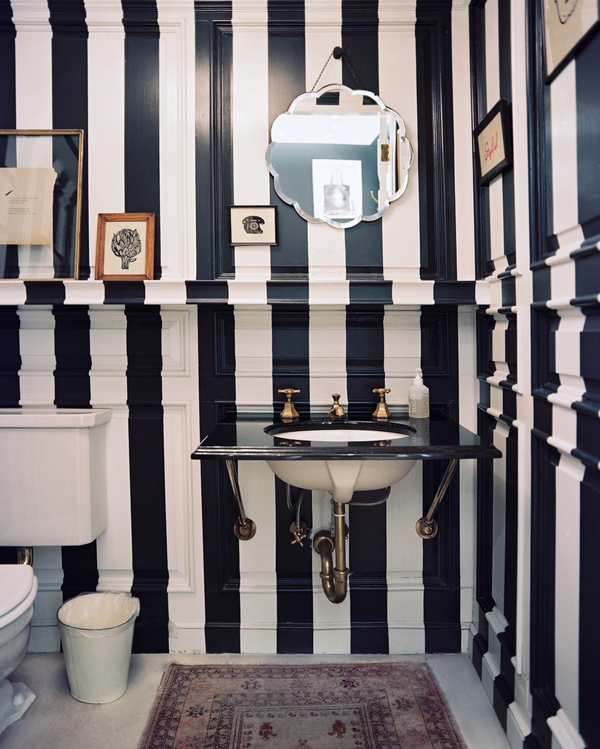 I am thinking black and white stripes just might give my room the graphic punch I am looking for! They are confident, spunky, and striking. 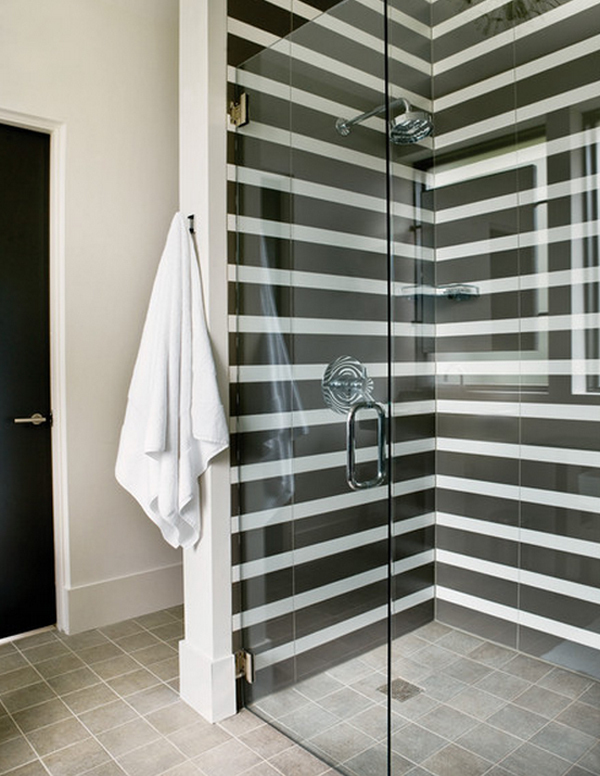 As I was searching for inspiration, I found that the bold black and white stripes are not just for the walls, but also for floors, bathrooms, and accessories. 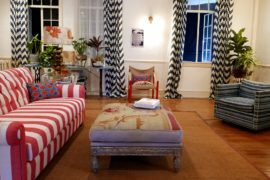 They can look traditional, modern, or eclectic. 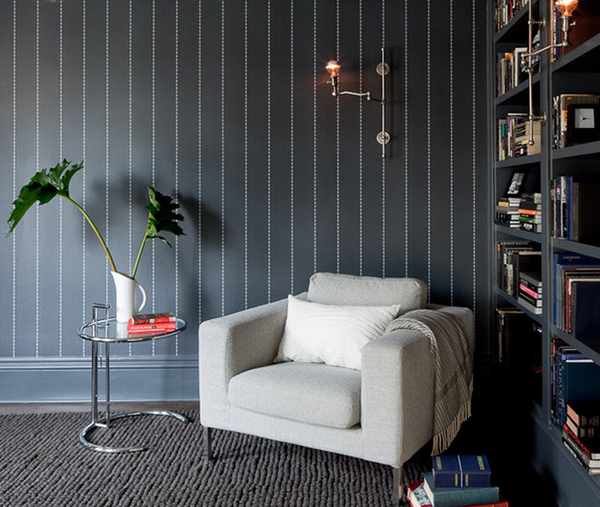 So if you’re thinking about remodeling or refashioning your space, consider going bold! I have just the inspiration you will need. 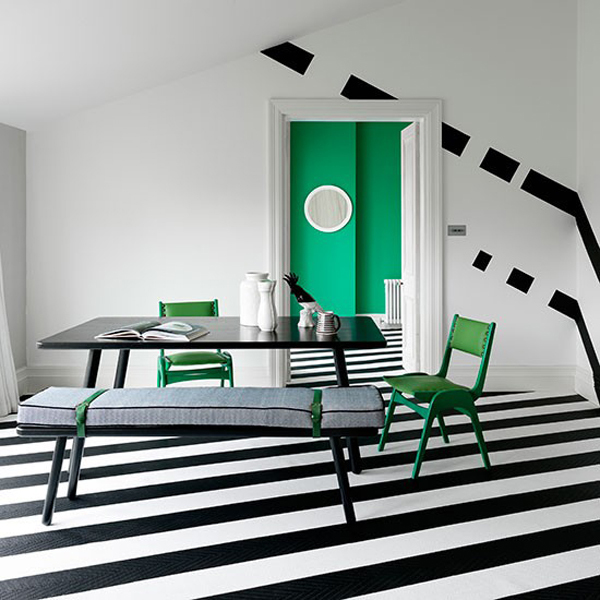 For a truly unique and bold look, striped flooring is simply amazing. 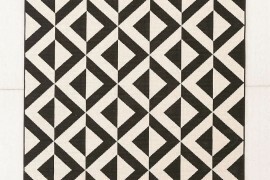 You can do it in wood, linoleum tiles, and ceramic tiles. 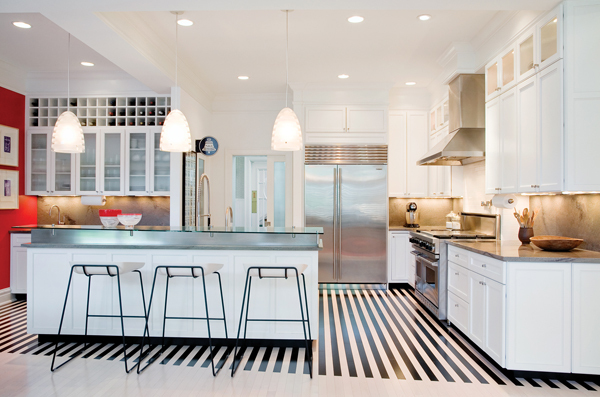 These fabulous floors can be featured in any room of your house. 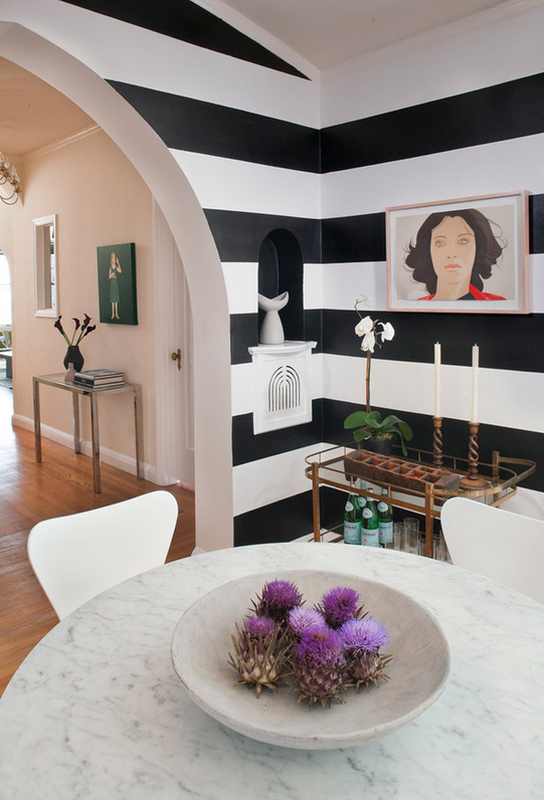 Are you ready to incorporate bold and beautiful stripes into your home? Share your comments below!